A smart grid is simply using computers to gather data at various points along the grid to assess how much energy is being used, when and where along the grid it is being used, where problems are developing and breaks occur. It also allows the grid operator to inform customers about their usage of energy. Such a system avoids the need to send personnel out to read actual meters and monitor lines and other components of the energy system. 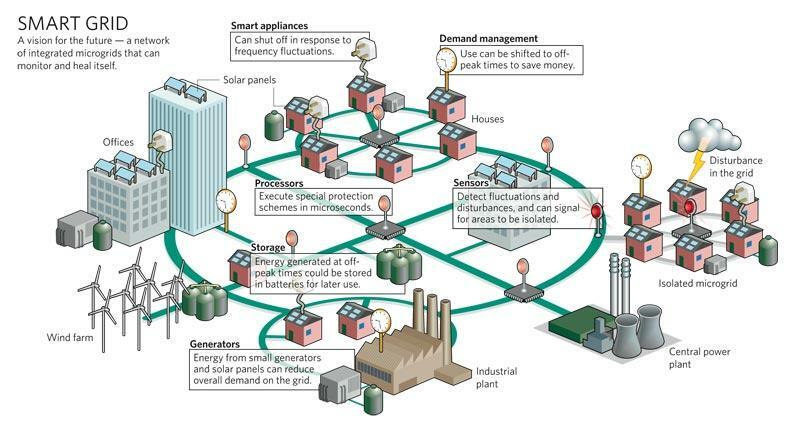 Determine whether there is a smart grid delivering energy to your residence and place of work. If so, figure out what data it provides to the energy company. If so, figure out what data the energy company supplies to you from this smart grid. If you are not served by a smart grid, see if others in your area, county, or country are.